UStudy is growing! 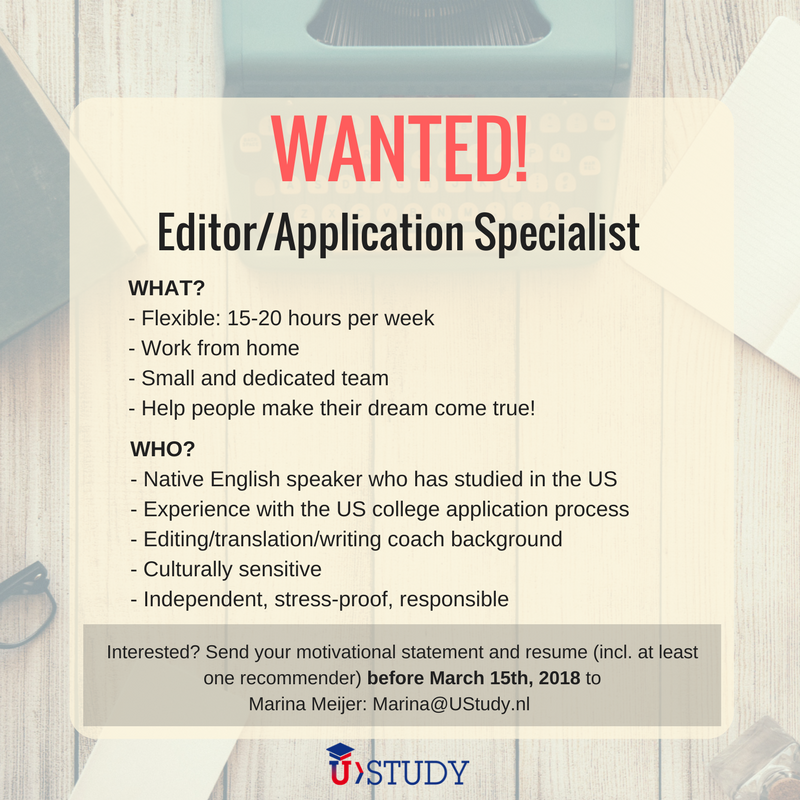 Therefore, we are looking for an Editor/Application Specialist to join our team. Are you a native English speaker? Have you studied in the US, or do you have extensive knowledge of the US education system? This may be the position for you! Flexible, work from home, 15-20 hours/week. Find out more below!